Having spent my professional life navigating between hard process and soft creative, I long ago came to the conclusion that the stories that companies tell and share are equal to if not more so than the actual product. People need stories to make sense of and give shape to their lives. Indeed, one could make the argument that dreams demonstrate storytelling to be a kind of physiological necessity. 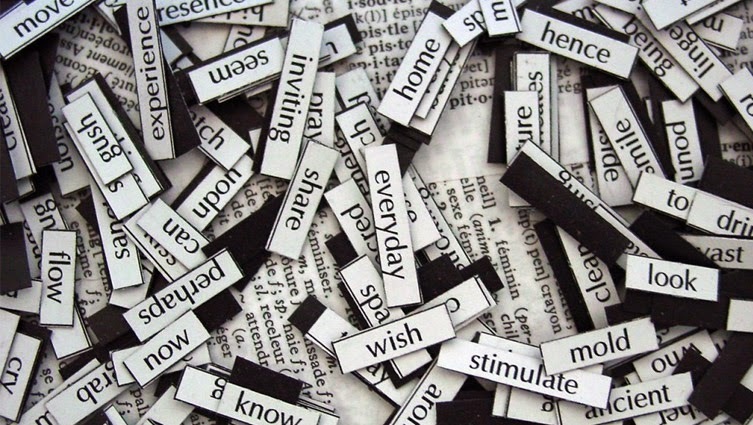 In recent years, the business world has seen an interesting shift in relation to storytelling. It’s no longer enough for businesses to tout a great product or service, a new trend or cool innovation. Consumers want to know what kind of company they’re purchasing from, how its employees work and play, and the inspiration behind the brand. More and more, consumers want to experience brands through human interest stories, and businesses are learning to shape and share their stories through that lens. Fortunately, the fundamentals of storytelling haven’t changed much through history. As described in classics of the form such as Joseph Campbell’s The Hero with a Thousand Faces, Robert McKee’s Story, and Christopher Booker’s The Seven Basic Plots: Why We Tell Stories, the archetypal stories the world over—the great myths and fables, from the Greek gods and goddesses The Matrix—all adhere to the same basic structure. First, you start with a protagonist who has a goal he wants to achieve that sets him out on a journey. But “boy meets girl and they live happily ever after” isn’t much of a story, right? Stories need to generate suspense in the form of conflict. So, the protagonist needs to be faced with an obstacle that will test his abilities and which he will need to overcome. (It’s worth noting here that from a business storytelling perspective the obstacle, or the antagonist, doesn’t need to be a person, Darth Vader, or Voldemort, rather, an unmet need in the marketplace.) Finally, comes the resolution, during which the hero is tested and will either achieve or fail to reach his goal. Stories have been with us from the beginning and will continue to resonate as long as people gather round screens. In a brave new digital age, we have more storytelling tools at our fingertips than ever before. But when it comes to storytelling fundamentals—the journey of the hero and crisis-conflict-resolution structure—the more things change, the more they stay the same. My old school mate (aka Old Maestro) and co-founding father of The Old Lancastrian Black Sheep Club, Brian Ashton, follows an ABC mantra too. His ABC is all about Ambition, Belief and Courage – something the AB’s have in spades. I’ve told Brian he was born in the wrong country!! I sat down with Entrepreneur.com’s Catherine Clifford a few weeks ago for an intense interview about start-ups and branding. The two go very much hand-in-hand, though most entrepreneurs get them the wrong way around. How so? They start with product not people, solutions rather than needs, loyalty for a reason, not beyond reason. Following so far? I went to see Brad Pitt’s Fury yesterday. 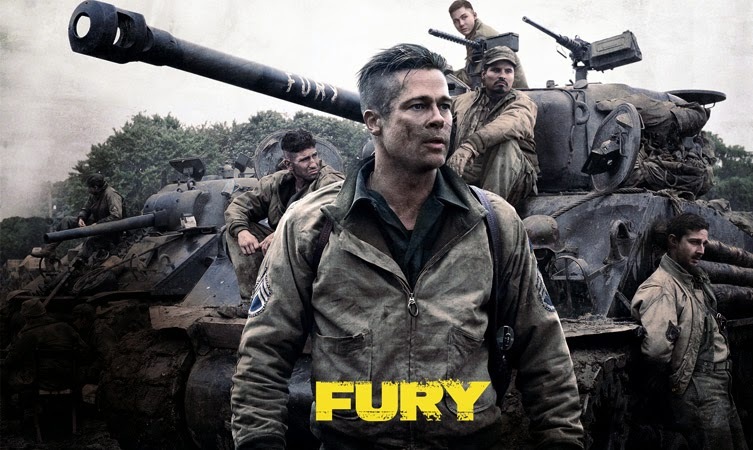 The best war movie I’ve seen since Saving Private Ryan. (Although Tarantino’s Inglourious Basterds was unmissable). Gripping. Tight. And uncomprisingly unforgettable. Catch it if you can. If you had to ‘brand’ your city or town with a tune, what would it be? 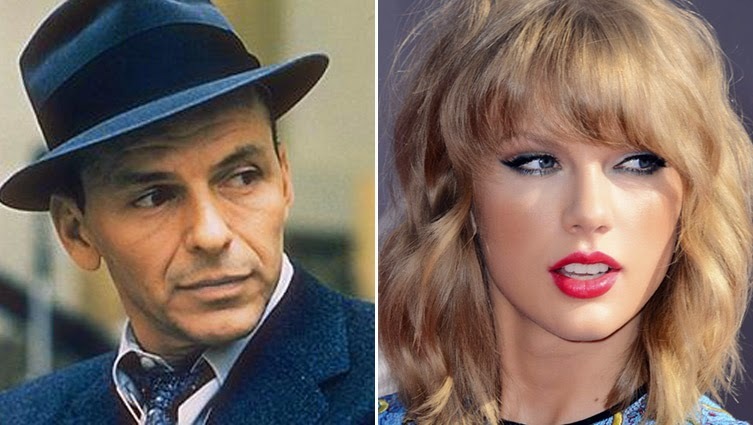 In New York City’s case, it’s hard to go past Frank Sinatra’s ‘New York, New York’ (though “Welcome to New York” by Taylor Swift is a lively reprise). However, most of the sound we typically associate with the place we live is accidental and unpleasant. We stand on street corners shouting over the sound of passing traffic. 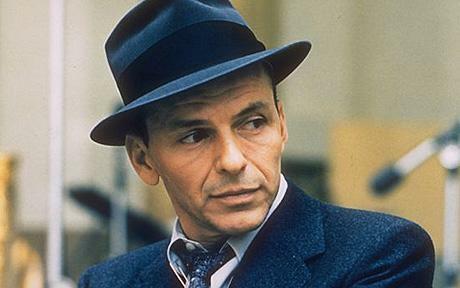 We’re certainly not humming along to Frank Sinatra. A recent article raised an interesting question about why brands, but not cities, have sonic strategies. 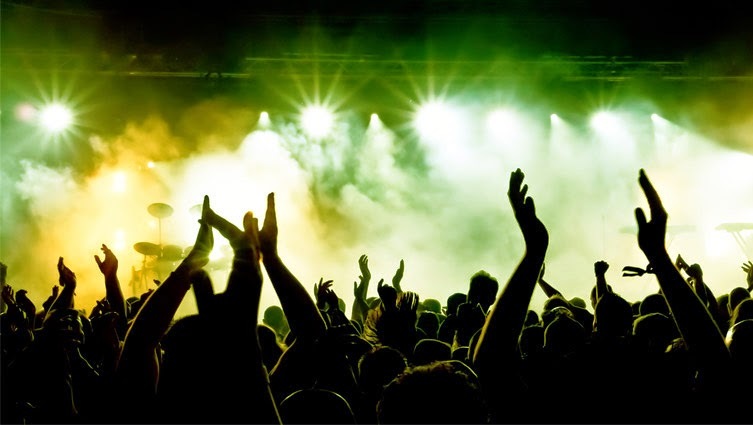 Brands have been pairing sounds and music with products, companies, organizations and ideas for decades. Composer Walter Werzowa’s five note ‘Intel bong’ jingle is arguably one of the most famous, reportedly broadcast once every five minutes somewhere in the world. ‘Sonic strategy’ in the context of towns and cities refers to a wide range of sounds. Sure, we have the usual sirens, subway announcements and crosswalk signals that usher us through our daily lives. But where’s the sonic Feng Shui? Joel Beckerman, composer of jingles for AT&T, CBS and others, argues that bad sound is as detrimental to quality of life as bad streetlights or poor sidewalks. He wants us to start thinking with our ears and about the impact of our ‘sonic environment’. A TED talk by Julian Treasure, ‘4 ways sound affects us’, makes a similar appeal to raise sound in our consciousness, arguing that bad sounds are bad for our health and productivity. Savvy sound designers are starting to do more. In Tokyo, subway stations each have their own jingle as a way to identify different stops. The Moscow metro indicates a train’s direction by using either a male or female announcer. Simple. Innovative. There are billions of sports fans around the world. Each Premier League match attracts an average global audience of 12.3 million people. This year's Champions League final reached an estimated 380 million football fans. These fans watch and support their team – so what if their team supported sustainability? Sport has the potential to reach and influence a huge audience of people, which means huge potential for delivering environmental messages and promoting behaviour change. 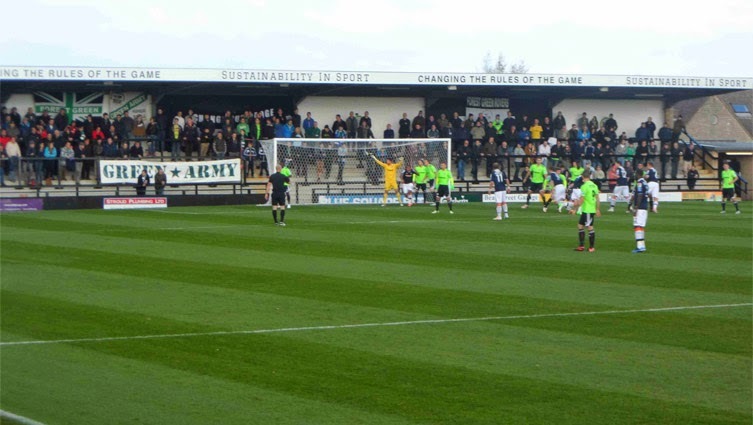 Recently, Gloucestershire-based football club Forest Green Rovers created the UK’s first organic football pitch. Over just three years, the club has eliminated all nitrogen-based fertilisers and chemicals from its ground maintenance. The club now uses plant-derived products on their field, and off the pitch they’re even washing their team kit in phosphate-free washing powder. 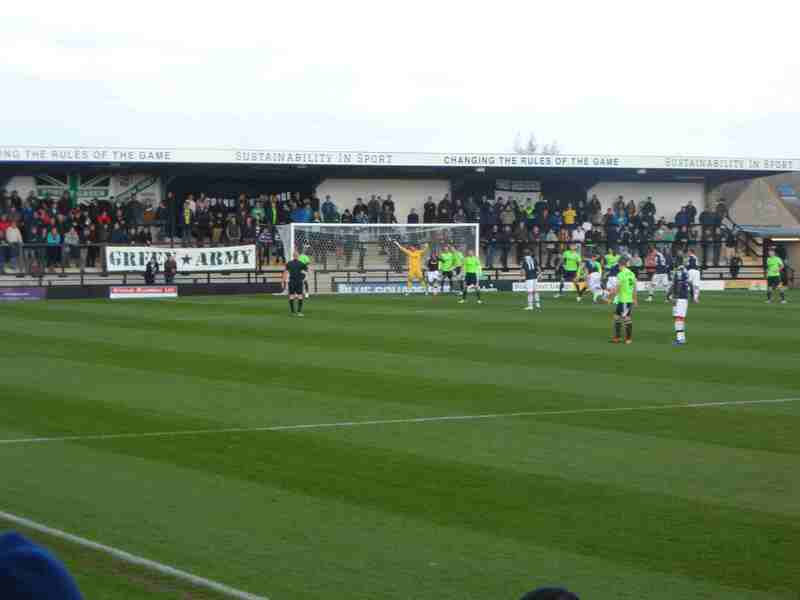 Forest Green Rovers are a Conference Premier team, four leagues below the Premier League. Is there any reason that top flight teams can’t make steps to do the same? In New Zealand, a social enterprise called Project Lightfoot is leading the charge by working with community sports teams for free to make environmental improvements, and getting prominent New Zealand sports stars on board to champion the cause. Compared to the fate of the planet, changes around the kicking, hitting and throwing of balls might seem a bit small. However, sports teams and businesses can use their platform and huge influence to increase awareness of sustainability. Even small changes could get people thinking twice, saving energy, cutting waste and reducing pollution. Every now and again I’ll come across something that really surprises. This time that something was an article about ‘deep time’ thinking, which explores our understanding of time and how our collective experience of it is being transformed. In many ways, in many places around the world, projects and initiatives are challenging our notion of time and encouraging us to extend our thought’s reach back – way, way back – into the past, and way, way forward into the future. An on-going research project in New Zealand, A Walk Through Deep Time, invites people to walk along a fence line of 457 metres to represent 4.57 billion years, as part of a discussion and walk-through of deep time. In the US, the National Academy of Sciences has an exhibition Imagining Deep Time, which explores a common interest in the vast timescale through art. Deep time thinking is about the big picture. It’s about thinking about our very distant future and our multi-billion year past. As the name implies, it’s about thinking about time – moving beyond our own artificial construct of time and its associated hours, days, weeks, deadlines and dates – and thinking about something that’s outside the realm of human experience. 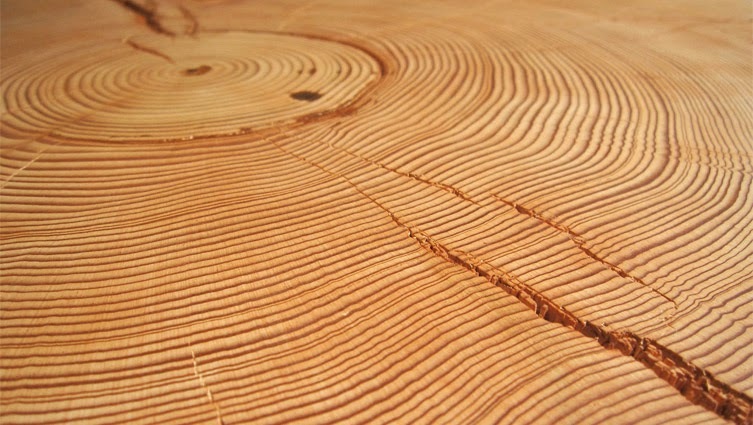 Climate change and sustainability are crying out for us to think across generations, and to engage with thoughts across radically long time spans. Deep time thinking is no longer just the domain of the ‘ists’ among us – astrophysicists, palaeontologists, geologists – it is our collective responsibility. 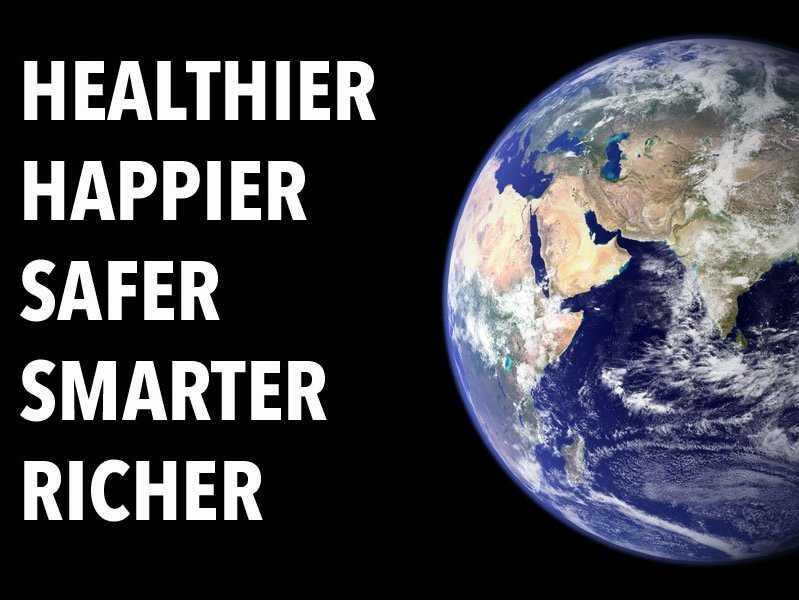 Business Insider strikes again on behalf of radical optimism. In a piece this week by Natasha Bertrand, the case is made that the world is getting better on a whole lot of fronts, despite the pressing urgency of daily headlines. Dr. Max Roser from the Oxford Martin School and a fellow at the Institute for New Economic Thinking, has created OurWorldinData, a website that tells the visual story of how the world is changing. The percent of the world's population living in extreme poverty is declining drastically. As global GDP increases, inequality between world citizens is shrinking. Incomes are increasing much faster than food prices. Rates of undernourishment have plunged across the developing world. Famines have become very rare. The world has become vastly more equal in terms of life expectancy. More babies are surviving infancy around the world. Africa has had a particularly steep drop in child mortality between 1990 and today. Diseases like Malaria are costing fewer lives than they once did. The number of people dying from AIDS has been declining over the last decade, as well. Fewer girls in the US are getting pregnant while they're still teenagers. Cigarette sales in early industrialized countries have dropped to their lowest point in 40 years. Because of better infrastructure, natural disasters are killing fewer people. The world is becoming more dramatic. The proportion of countries experiencing civil wars has declined significantly since 1990. The percentage of the world's population dying in violent conflicts has decreased in the recent past. Fewer people are dying in genocides. Government spending on social welfare is increasing around the world. Throughout the world, people are becoming more educated. 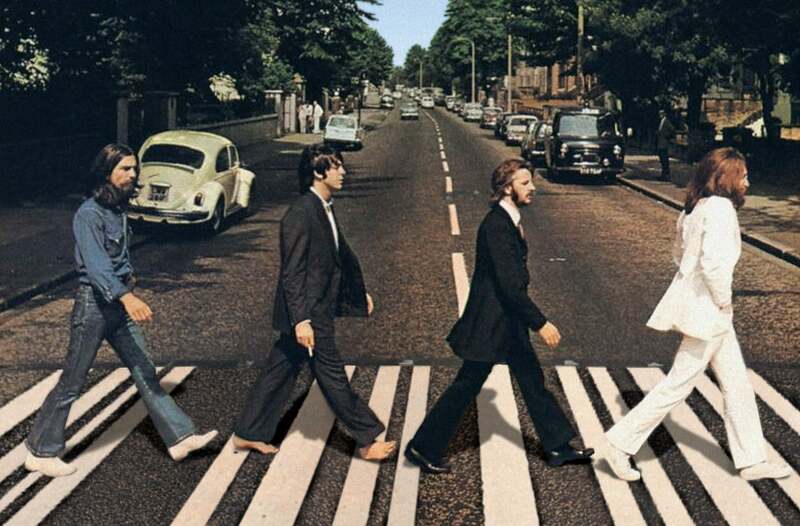 Abbey Road is undoubtedly one of the most famous recording studios of all time. It made a name for itself with the Fab Four – literally, when it was renamed after The Beatles album that made it famous. Then followed Pink Floyd, Kate Bush, Elton John, Nick Cave and the Bad Seeds. The list goes on. A recent article in The Atlantic dubbed Abbey Road ‘Pop Music’s Westminster Abbey’ – part tourist attraction, part working cathedral where all the traditional rites and rituals are still observed. In Abbey Road’s case, ‘traditional rites and rituals’ relates to music recording and technology, which has changed so much since “Come Together”. There is a fine balance to be struck between blending aspects of old and new – even The Beatles had to contend with this hurdle. But they were all about breaking rules. This meant new and interesting sounds, and rough edges, but that’s what gave their music a human element. It simply wasn’t possible for music to be perfect, and this forced a commitment to creative choices at an earlier stage in the recording process. 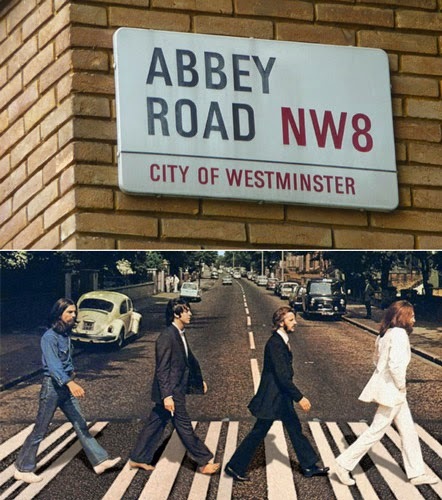 Abbey Road invokes a spirit that is central to enduring work – taking risks with whatever tools you have, using a lot of skill, imagination, some serendipity, and – above all – a human touch. Edge is one of my big E words. Edge theory is the idea that change happens at the margins rather than in the muddling orthodoxy of the center. I came across a prescient expression of edge theory in the donut analogy that leadership expert Camille Preston used in a Fortune article last week to decipher the way we live and learn. The donut hole represents our comfort zone. Routine. Familiarity. Boredom. The actual donut represents our learning zone, where we feel inspired, awake and alive. This is where we experiment and learn new things. 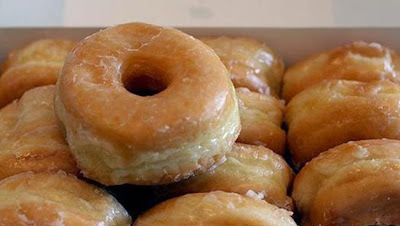 The edge of the donut is where the magic happens – with some trepidation. It’s the edge of our learning zone, with our comfort zone marking a mere spot in the distance, where we face challenges and achieve results worth fighting for. Be agile. Flexible in your approach, but firm on your outcome. Know your way. Seek clarity of purpose. It will drive you. Get emotional. Don't be afraid of getting a little hot under your collar. Emotion brings energy and drive to succeed. Build the best team. Surround yourself with people who you like hanging out with, who you trust, and who will take care of you. Unplug often. Take time out to reflect and renew. Things to meditate on next time you’re eating a donut. How right he is! I’ve long held the belief that traditional marketing is dead—and that the great companies of today and tomorrow are more about building movements than creating market share. 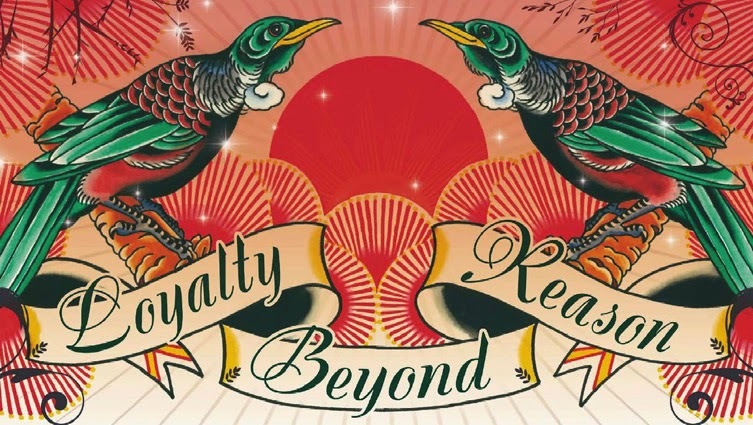 In Lovemarks: the Future Beyond Brands I sought to show how deep emotional bonds between consumers and brands are what exists behind the great long-term business success stories. That, when it comes to the great legacy brands, we’re talking more about Cupid’s arrows than accountants’ calculators. That the only accurate word for this relationship is Love. 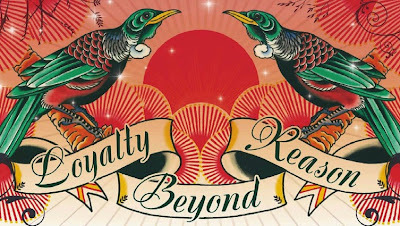 In Brand Loyalty Reloaded, a “red paper” published in September that explores how to navigate the emotional territory of brands, I suggest that “Big Data needs Big Love.” What does that mean in practice? And how might infusing Big Data with Big Love impact the changing role of CMO? A study by Gartner reported that by 2017, CMOs will spend more on IT than CIOs. Well, good luck to all those new “Chief Metric Officers,” because data will never replace an understanding of the fundamentals of human nature. True, we are living in an era of data mining, modeling, measuring, and monitoring that would have made Orwell’s Big Brother blush. But while many have presented Big Data as a dream scenario for brands to more precisely identify and target their audiences—a perfect marketing moment—numbers alone won’t do the trick. That’s because algorithms will never be able to read and respond to people the way people do. It’s because Big Data can read the lines, but not between them. It’s because Big Data can turn up at the perfect moment but not ignite it. It’s because Big Data cannot dream up stories, inspire us, and teach us about love. Forbes is right to suggest that the role of CMO is due for a rethink. CMOs need to be psychologists, not just statisticians; observers of human behavior, not just practitioners of data analytics; master storytellers, not just good at math. Informed by but not led by Big Data, marketing must learn to speak a language of emotion, dream, mystery, and enchantment. 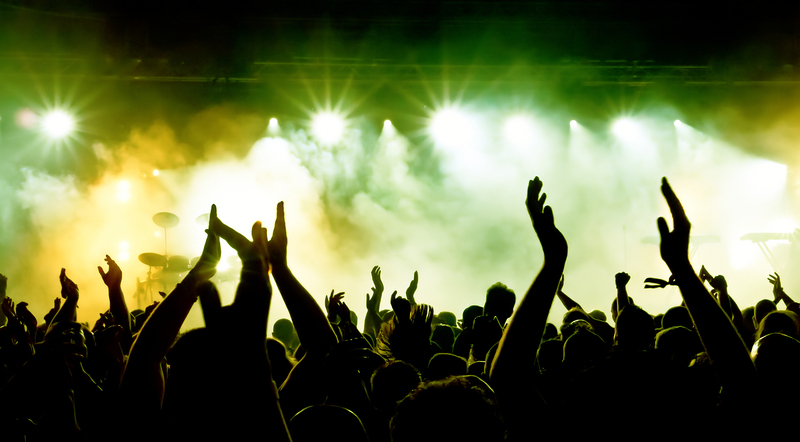 It’s time for Chief Marketing Officers to sprinkle some magic into the mix. I’m looking forward to Thursday evening in London where I’m delivering the annual Professor Sir Roland Smith Lecture hosted by Lancaster University, where I am an honorary professor of creative leadership. I met Sir Roland briefly in the nineties but the memory is indelible. Roland Smith was a marketing pioneer and businessman and fellow Lancastrian. He died in 2003 after a hugely energetic life that saw him ascend to the top of both academia and commerce in the UK. The son of a police sergeant, he had the northern work ethic drummed into him at an early age. Growing up in one of the toughest parts of Manchester where survival is the name of the game was an unlikely route to studying economics at Birmingham University, but he clearly thrived and went on to complete a PhD at Manchester and then to an economics lecturer position at Liverpool. In 1966, in his thirties, he was appointed Professor of Marketing at Manchester, the first appointment of its kind in the UK. 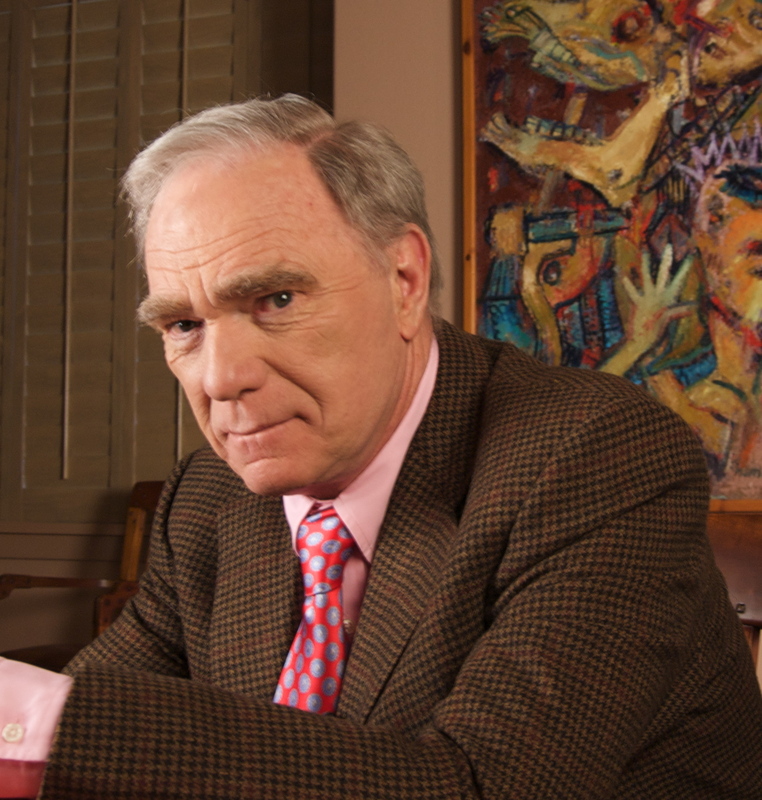 In his obituary The Guardian noted “this was at a time when Britain was only beginning to become accustomed to the notion of business as a suitable subject for academic pursuit, and when the US style of business study was seen as a possible answer to Britain's chronic management shortcomings.” "I was in the right place at the right time," Smith recalled. "Public companies were becoming interested in management science and there was a demand for business academics to speak at conferences." 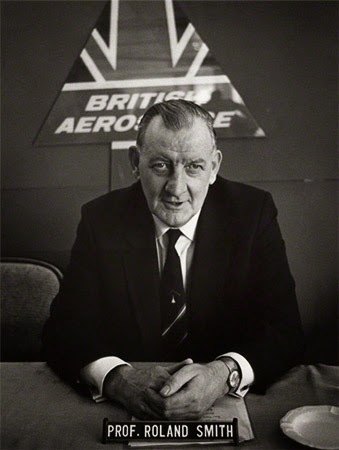 Big in stature (he was 6’ 6”), and with a typical Lancastrian avuncular bearing, Roland Smith then bridged academic with directorships, dominating British boardrooms as chairman of House of Fraser (where he navigated the company through a legendary takeover attempt), Hepworth and British Aerospace and director of the Bank of England. A Manchester United fan, in 1991 Smith became chairman of the football club, where he was instrumental in building its strong commercial brand. 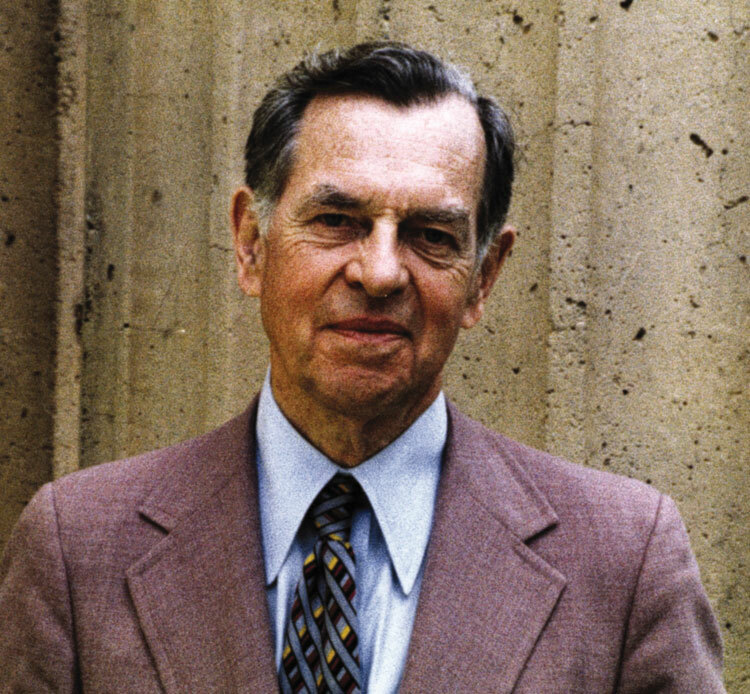 He was known for his “mindblowing” grasp of financial data and statistics, his depth of vision, his very shrewd brain and a constant sense of urgency. Former Tesco CO Sir Terry Leahy, who had been one of his pupils in the Seventies, said “It was tremendous to have a man at the peak of a business career in the lecture theatre taking us through case histories from real life. 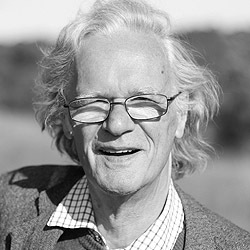 It made us want to get out there and do it.” In 2005, the widow of Professor Sir Roland Smith, Lady Joan Smith donated £500,000 to Lancaster University to fund a chair in strategic management. On Thursday, it will be my privilege to step into Sir Roland’s big shoes for the night. Responsibility. 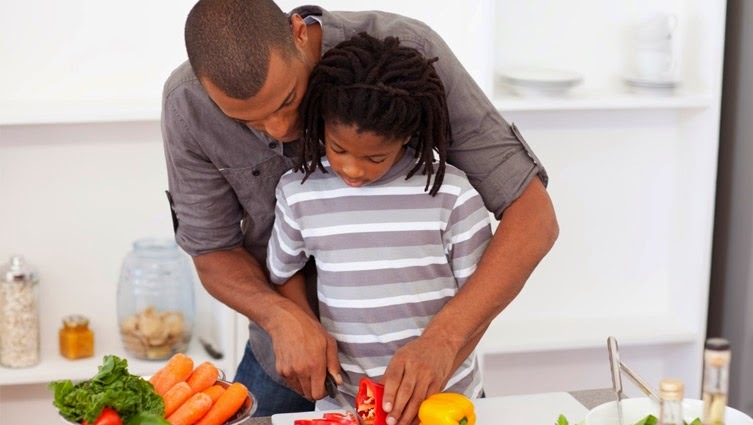 It doesn’t matter what age, race, religion or political leaning they have, parents want to teach their children to be responsible - so says a Pew Research study on parenting. Responsibility was overwhelmingly the most important trait, with 93% of parents saying it is especially important, and 55% rated it as one of their top three qualities (the other two being hard work, and helping others). Responsibilty can be variously defined as having a duty to deal with something, being accountable for something, and the opportunity or ability to act independently and make decisions without authorization. 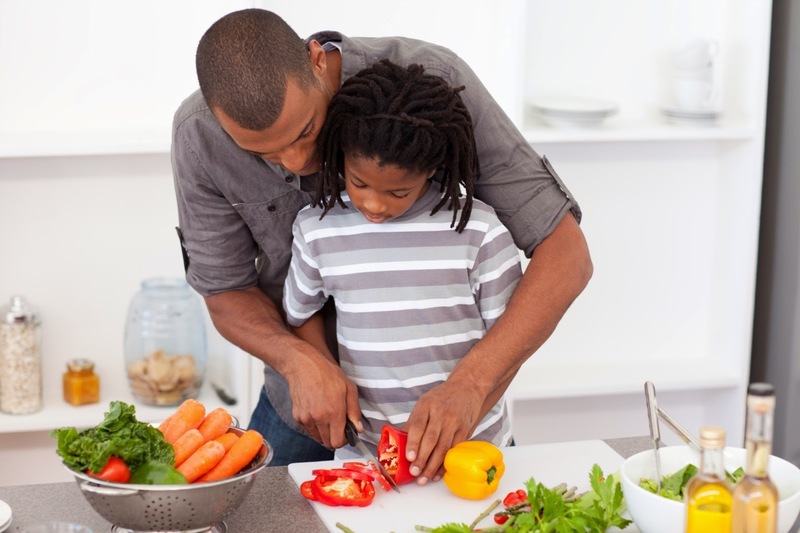 We want to raise children who make good decisions, who own their decisions, and who can be relied on. It means we can send them off into the world with greater comfort. Responsibility is one of the four key fuels that drive people to be their best. Companies need to feel like a family and play like a team, and like a parent’s wish for his or her child, team members need to be given responsibility in order to thrive. Revolution begins with language, not just in political movements and at the organization-wide level with a company dream, but right down to the interpersonal level – at the desk, in the corridor, at the water cooler. Career-enhancing and life-changing moments often occur in everyday conversations where an impression is made, an opinion is formed or an idea is sparked. At work, employees should demand the four success drivers every day in equal doses - responsibility, learning, recognition and joy. People rise up on these, and the organization rises with them. However the fab four have to be given, not just demanded, especially on the high-emotion fronts of recognition and joy. 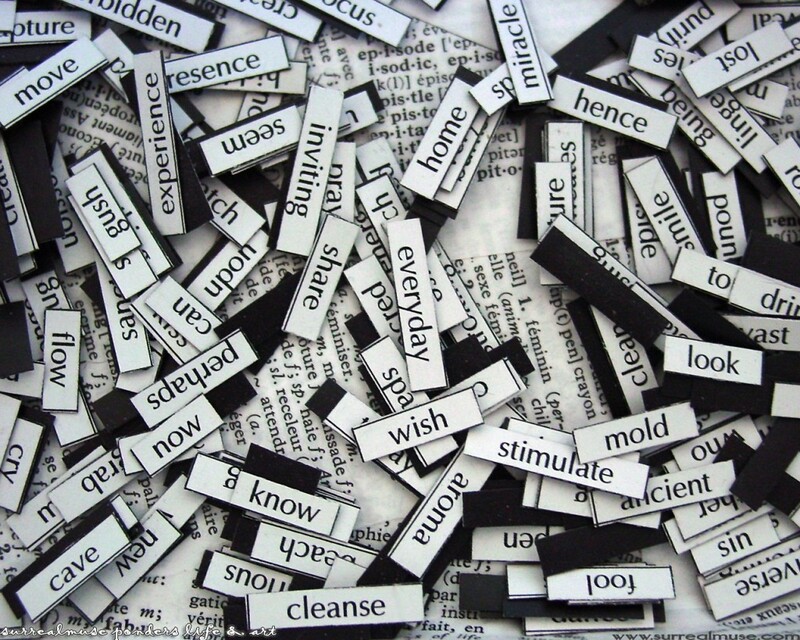 This is where language come to the fore. "You're welcome" (versus "No problem"). "Here's what's happening" (versus "I don't have the full story"). "How can I help?" (versus "Sorry, I can't help"). "I'll find out" (versus "That's not my job"). "I believe in you" (versus "It's on your head"). Basketball legend Kareem Abdul-Jabbar said: “I try to do the right thing at the right time. They may just be little things, but usually they make the difference between winning and losing.” It’s not just the doing, it’s the saying, as the article says. Happiness comes from anticipation of the experience purchase, not just after it. Waiting for a possession is more likely fraught with impatience than anticipation. Experiences tend to make us happier because we are less likely to measure the value of experiences by comparing them to experiences of others. Experiential purchases tie more into identity, connection and social behavior. We stop appreciating what is constantly in front of us, as opposed to the transient. We don't want to hear about other people's possessions; experiences, yes. Moods are better in a queue to buy an experience, versus material goods. We tend to be more generous to others just after thinking about an experiential purchase, as opposed to a material purchase - also more likely to pursue social activities. It's suggested that the difference between imagining experiential versus material purchases lies in all the possibilities around the former. What does it all tie back to? The unexpected and the imperfect, the evocative and the enchanting, the connecting and the inspiring – this is the magic of experience and you can’t put a price on it. If you could, it would be rising. The more embedded and automated that quality, service, distribution and performance become in the consumer society, the more the human factor matters. Well, the weekend in Chicago was everything it was cooked up to be and more. Take the game they play in heaven and mix with America’s second greatest city, a Kiwi invasion, a sold-out iconic football stadium, and massive support from American rugby players and supporters. I was having breakfast at the Ritz Carlton on Friday morning with some New Zealanders over for the All Blacks USA Eagles match, and who should wander by with entourage but the most famous player in American sport at the present, Le Bron James, in the Windy City for that night’s Cavs-Bulls game. Spotting a host of black-shirted silver-ferned New Zealanders, I heard Le Bron say “they must be here for the big rugby game.” The previous night there was a gala dinner at the magnificent Union Station, this too was sold out with 600 American rugby sponsors, supporters, administrators went shoulder-to-shoulder with a large contingent of Kiwis including several former All Blacks. Cantabrian Phil ‘Amazing Race’ Keoghan was the MC, Ambassador Mike Moore was among the speakers, as was Peter Hancock, CEO of insurer AIG who is a passionate supporter of the values of the game and must take credit getting AIG’s logo on the front of the AB’s jersey (as well as the Americans). There was a long list of dinners and informal parties to move between over the three days of the rugby festival. The All Blacks were staying at the Hyatt, and their supporters drained the hotel of beer, first time it had ever happened, though all very convivial. New Zealanders came from all over America and a large contingent from New Zealand. 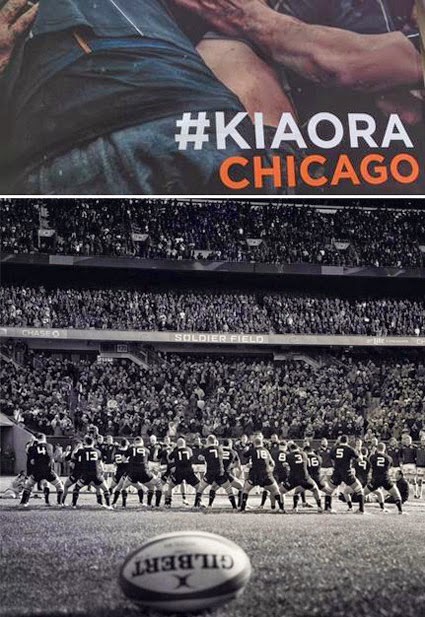 It was the largest gathering of New Zealanders at any one time in America, and with it thousands of connections and conversations – in bars and restaurants, on the Magnificent Mile, in airport lounges and of course at the stadium. The value of putting a large group of motivated and high-achieving members of the diaspora in one place is priceless. Game day brought several hundred Kiwis together in an event tent outside the famous Fields Museum adjacent to the stadium, hosted by NZ Trade & Enterprise. The Maori performance group who came in from Vancouver gave the American guests their first up-close and personal taste of the haka. 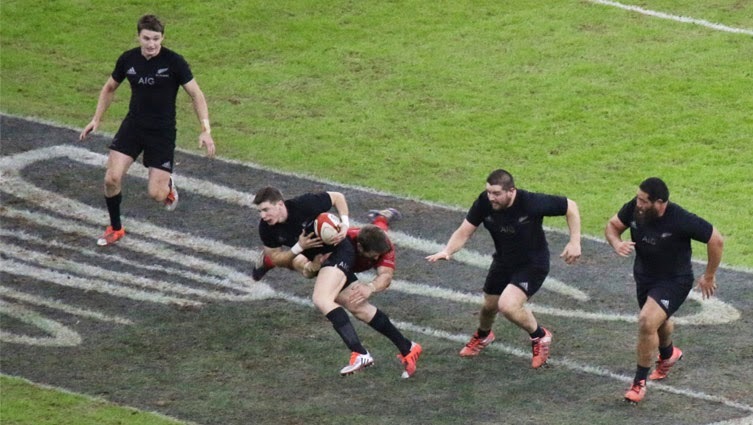 The game itself was a masterclass by the All Blacks. 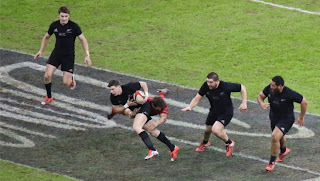 12 tries, 26 clean breaks (versus 5 by USA), 42 defenders beaten (versus 11)…Sonny Bill Williams, freak of sporting nature that he is, was Man of the Match with a blistering return to the All Black jersey. Dan Carter slotted back into the team after a year’s injury absence. Their road to the 2015 Rugby World Cup has started. For the Eagles, it was a case of rugby being the winner on the day. Demolished yes, but by no means demoralized. They got a mighty ovation from the 61,500 crowd at the end of the game and can reflect on a milestone for the game in America. There are well over a million Americans playing rugby at several levels, a quarter of them women. Participation in the game grew 33% last year. The USA have a top-10 Sevens team and the 2016 Olympics provides fertile competitive ground. NBC is a great broadcast partner. The Chicago fiesta was an inflection point, a showcase and celebration rolled into one.